Project Eversio; one of the top local esports organisations which has taken its risks and boldly progressed, taking 2017 as a year of change. Also one of the oldest organisations on the island, dating back to 2017, Gamers.com.mt has been meaning to reach out to them to fr a while now, providing the community with insight regarding how Project Eversio have been doing. We're happy to announce that we've done exactly that with this interview, answered by the core of the organisation. Being extremely enthusiastic to answer the questions, they really went into a fantastic amount of depth. Unfortunately, this does lead to a lengthy amount of words, which would result in quite a long read; which is why we've divided the coverage into two parts. Below are the first set of questions, highlighting the past and the present especially. 2007, a bunch of students and a love for Call of Duty 2. Give us an insight to the founding of Project Eversio and everything leading up to it. Highlight the main reason why you decided to start out and if you could, why ‘Project Eversio’? Project Eversio was founded by Neville 'Nev' Zammit and myself, Michele 'Mikk' Magro. We were two sixth-formers who both had already quite a long history in the local competitive scene. Back then, the local scene was already dominated by big names such as Team eXosphere, ephica, Xtreme Corpz, SAS Gaming and Team KM@. For quite a while, Neville and myself also formed part of Malta's biggest, oldest and most storied multi-gaming clan: MEPA (Malta Elite Patriotic Army), but as the original founders of the latter organisation went inactive, we increasingly wanted to start off our own multi-gaming project, and chase our vision for a highly competitive esports organisation, with a professional demeanour and strong branding. After leaving MEPA, we actually started off a Call of Duty 2 team under a different name: elemeNt, but after a number of months, we opted to create an organisation which moved away from the traditional Maltese concept of focusing just on one game. We wanted to give other games, especially games that were also popular locally and abroad, the same limelight. 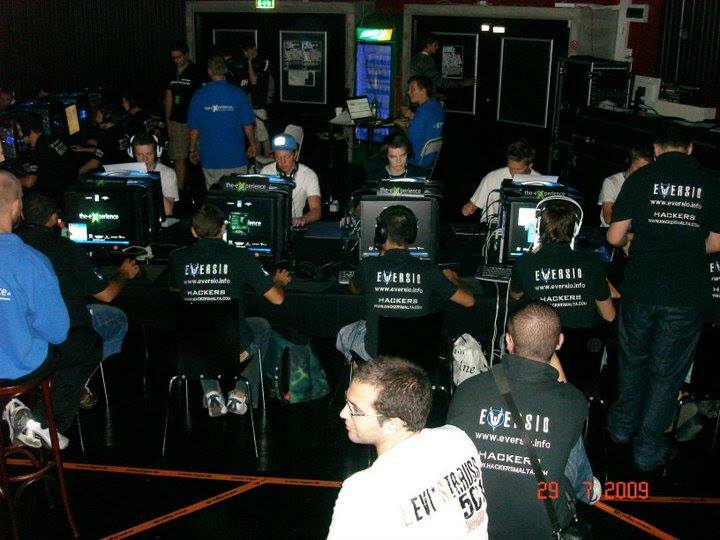 Hence, when we founded the organisation back in 2007, we had squads for Call of Duty 2, Enemy Territory, FIFA and FEAR Combat. As for the name, we wanted something innovative, and memorable. Back in 2007, most esport organisations went by three letter abbreviations, followed by 'eSports' or 'Gaming'. We settled on finding something in Latin, to follow on the footsteps of the international greats such as Team Dignitas, and one of our Enemy Territory team members, Carl 'st4tic' Brincat, came up with 'Eversio', which means 'destruction'. The 'Project' prefix was added in order to be innovative and different to other organisations. We were very happy with the end result, as 'Project Eversio' signified our attempt at changing up the status quo in the local gaming scene, by destroying all our competition, and take the reigns away from the teams that dominated the local scene for so long. Together with the original founders, the management team now also includes our former CoD4 team captain, Matthew 'Metju' Barbara, gaming veteran Daniel 'Deathrow' Gatt, and more recently, Samuel Grech as an overall advisor, and Frank Sciberras as a graphic designer. Since then you’re now fielding teams in six different scenes, namely PUBG, CS:GO, Dota 2, Rocket League, Starcraft II and COD:WWII - describe the growth process which has taken place over these 10 years. Did you ever expect things to settle the way they have? To be honest, Project Eversio's momentum changed a lot over the past decade. We were very active between 2007 and 2010. We fielded teams for a large number of games including our flagship division of Call of Duty 4, but also FIFA, Trackmania, Command & Conquer 3 and others; we dominated the local CoD4 scene with 10 local LAN victories, we attended an international event in Denmark at the very peak of the CoD franchise's competitive pedigree and popularity on PC, and clashed against the best teams in the world on a daily basis. We were invited into the top European leagues in CoD4, such as the EuroCup, on the strength of us easily being a top 30 CoD4 team in Europe (and top 5 on Clanbase). Between 2010 and 2012 however, the local scene took a turn for the worse, as no events were organised, and our activity reflected that slump. At that point, the original founders were not really involved, and Chris 'Habs' Haber managed to keep the brand going with a StarCraft II and a League of Legends division, the latter of which would go on to become Malta's highest flying LoL team. 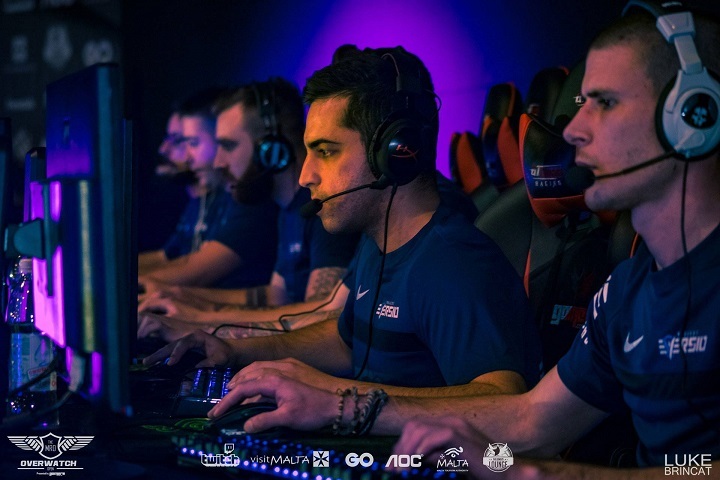 Our activity was quite sporadic in the subsequent years, and our original CoD4 team switched to CS:GO, and they were very successful in the local scene, up until 2014, when the organisation went dormant. We found renewed impetus in 2016, thanks to Overwatch, and we've been going at it strongly since then. It was actually a very big challenge for us to 're-invent' ourselves after our highly successful CoD4/CS:GO players stopped playing, so we're very happy we've been able to get to this stage after a year. The management team has grown significantly, in terms of size, abilities, and I would also say 'wisdom'. Our merry fellowship includes a lawyer, a programmer, a business analyst, a personnel management expert, a projects manager and a graphic designer, so we're geared up to do this professionally. In terms of players and teams, we're extremely selective about who we choose to represent us. Players ultimately are the face of the brand, and we want to make sure that our players represent the organisation's ethos: champion material, maturity, and professionalism. We're very proud of the team we've managed to build in 2017. This year has been bursting with the branching to five new scenes, not to repeat them again, and an incredible amount of success in each sector. Share your feelings about this year, 2017, for Project Eversio. What were your best moments? Which were your worst? What goals did you set for this year and did you satisfy them? One of the best moments of 2017 was definitely our Dota 2 team winning the Quickfire Nova Series #1. Unlike some of our other teams, our Dota 2 team was not 'tried and tested' before we asked them to join our organisation. It was very much a group of passionate and ambitious people, and going into the first local LAN event for Dota 2 in years meant that no one knew what was going to happen. It was the first LAN event for most of the players (let alone competing on a stage in front of a crowd), and we organised a bootcamp in preparation and everything. They lost their group stage match against the eventual finalists, so going into the Grand Finals, they were the underdogs, but they came back with a phenomenal performance to win. The emotion of seeing a group of players so passionate about their game winning their first event: the joy, the pride, the relief...was electrifying. It was also the first time Project Eversio won a LAN event since 2014, and the first time a team other than our CoD4/CS:GO stars won a LAN event since 2012. It honestly was an amazing feeling. I think the worst moment was seeing the local Overwatch scene crumble. Firstly, notwithstanding what Blizzard is doing on an esports scale, Overwatch is a superb game, and in my opinion, one of the best competitive video-games ever made. The competition in the local scene was very fierce, even though our team only managed a silver medal and two bronze medals in the events they participated in, we knew they were extremely talented and had the potential to win and go places. After the last local Overwatch event was held, there was so much hype that we decided to help out the scene by having an academy team as well, but for a number of reasons (in my opinion, due to lack of events in Summer), the scene died out very quickly. Even some of our players lost all will to compete in Overwatch, and in a last ditch effort to save the team, we attempted to merge with another local team, to create a form of Maltese 'super team' to compete internationally, however to my immense regret, even that initiative fell through at the last second before the announcement! Our goal this year was to revive the organisation, and I think we exceeded our own expectations in terms of getting the organisation back on its feet, but it did come at a cost. Our focus now is to make the organisation sustainable.